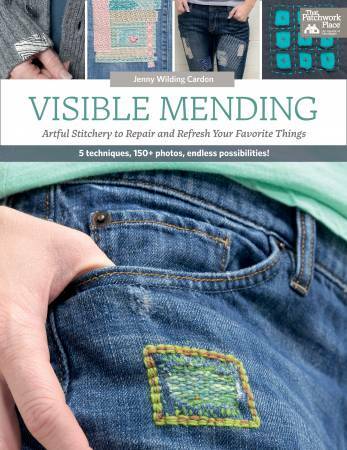 Visible Mending- Imagine a world where every rip in a pair of jeans, every snag in a sweater, and every tear in a tea towel becomes an opportunity for one-of-a-kind creativity. With this fun introduction to unconventional mending techniques in a format that's half how-to guide, half idea book, anyone can give worn and torn items a new life. Start by learning hand-mending methods, including boro (an age-old Japanese mending technique), embroidery, patching, and darning; then rev up the sewing machine for fast mends that put the pedal to the metal. With limited supplies, a limited budget, and limited time, anyone can create attention-grabbing details with visible mending--35 examples make it easy to get started!